Dense, creamy, velvety, textures with a slightly sticky rind. With textures and tastes like that who wouldn't want to know more about this fairly new cheese from a very ancient cheese making region? Challerhocker, translates roughly as "cellar dweller' comes in wheels just under 7 kg, imprinted with its name, and four haunting faces showing beautiful detail, it is difficult to bring yourself to slice into this decorated wheel. 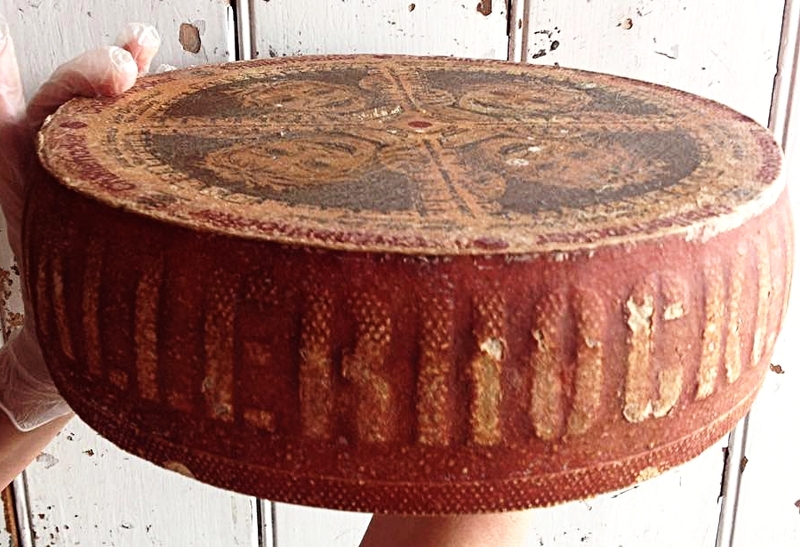 Challerhocker hit the market place in 2003, from the acclaimed region Appenzellerland who's cheese production out dates the record books. In a region rich in history and tradition, cheese maker Walter Rass took an uncommon path, already an established producer of Appenzeller, an accomplishment in itself, Rass started experimenting with his own cheese finally creating this impressive cheese. Made with 100% local Jersey cow's milk, which is heat treated but not to the degree of pasteurisation, slightly cooler, a process called thermalized, which is delicate, retaining more complex flavours. The cheese is also washed with a spice brine throughout it's 10 months maturation, which develops the interesting flavours. The result? Well pop in store and find out. It is certainly now one of our favourites, try it paired with a dry cider or a zesty chardonnay.